Raise a glass to saving the sweetest lives. 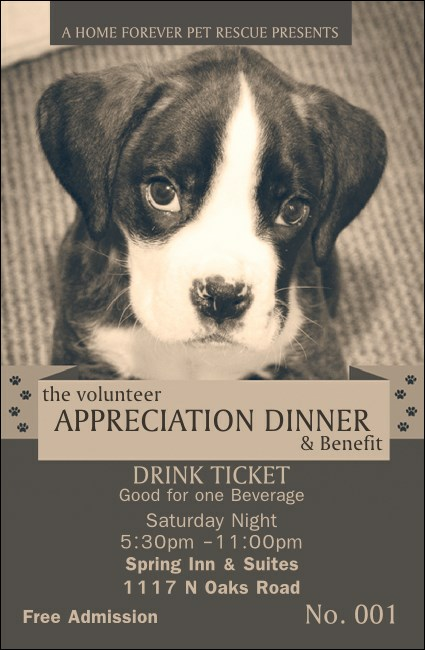 Organize your benefit and distribute the Humane Society Drink Ticket to your guests. A black and white puppy looks up to your guests on this heartfelt design. List all event and drink details on the template and we'll ship them your way.